Tillsonburg Fire & Rescue in Southwestern Ontario is the hub of the province’s newest multi-agency/multi-jurisdictional fire dispatch, serving a total of nine agencies throughout Elgin and Oxford counties, with over 60 apparatus dispatched from 17 halls. The area served is very diverse, with correspondingly diverse response requirements. Elgin and Oxford contain some of the most beautiful rural farmland in the province, as well as the larger centers of Tillsonburg and Ingersol, which are home to significant residential and industrial areas. Highway 401, carrying trade from the U.S. border to Toronto and other major cities, runs through the region and results in a significant volume of first responder calls. 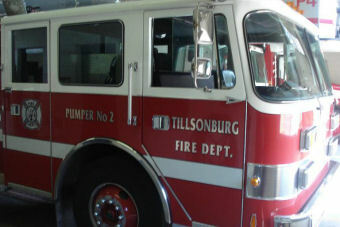 In selecting a CAD, Tillsonburg’s main requirement was a solution with the flexibility to intelligently handle the needs of a large number of agencies with different response areas, dispatch protocols, and organizational structures in one unified system, without resorting to a “one size fits all” approach. The Horizon EME provided the ideal answer, due to its true multi-agency/multi-jurisdictional capability – all aspects of the system (data, rules, workflow, and GIS) can be set up differently for each agency and/or jurisdiction. This provides the best of BOTH worlds – The efficiency, coordination and interoperability of a unified professional dispatch operation, combined with support for each department’s unique response protocols. The system also provides real time two-way integration with the FirePro™ RMS, coupled with direct-to-text incident alerts and trip tickets, both of which ensure all personnel – full-time or volunteer – have automatic access to required information when and where they need it.